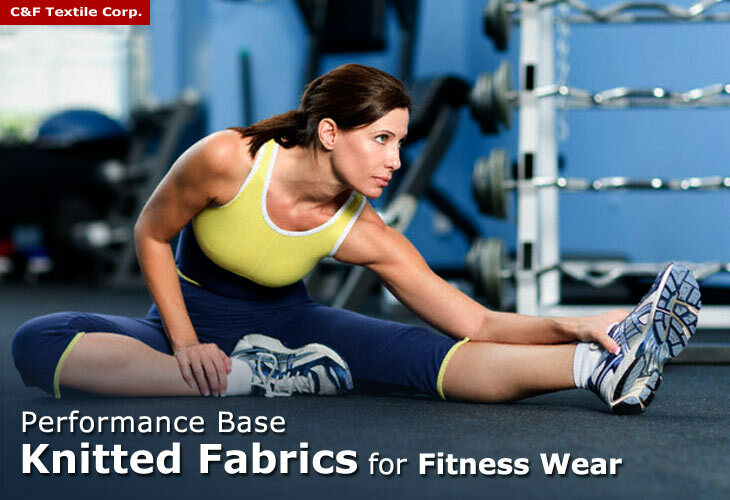 C&F manufactured Knitted Fabrics which are best for "Fitness Wear, GYM Clothing, Work-out Leotards and other Sportswear"
Fitness wear has a great growing up for its niche markets since aerobics routine became a popular sport. Aerobics routine requires perfect fitness wear to make you looking good and comfortable. It is hard to exercise if you are not comfortable especially for beginner and new to aerobics exercise. The continuous movements of up and down in aerobics routine can put a toll on players’ body if they don’t wear the right type of fitness clothing. Workout wear which is made of material with good wicking properties would be preferable for a heavy exercise. C&F's "Performance-Base Knitted Fabrics" are designed to do this and greatly superior than cotton for keeping the body fresh and dry. With more than 20 years experiences in the knitted fabric field, C&F manufactured the best quality of performance-base knitted fabrics which are ideas for workout wear, fitness clothing, gymnastics leotards, gym apparel, rhythmic gymnastics wear, cycling jersey and other exercise clothing which need performances like moisture absorption, elasticity, breathable, germproof, durable, wrinkle resistant, and easy to wash.
We offer free knitted fabric swatch on qualifying orders, please leave you inquires or use eSupport for online help. 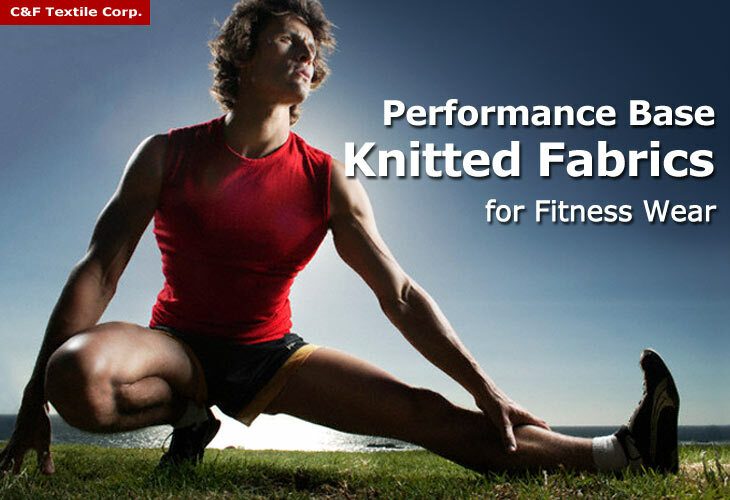 If you are designer for fitness wears, C&F would be your best choice of knitted fabric supplier. For LIVE HELP, just click on "Online Ready-eSupport", our specialists will be with you in air.